Let's talk about the Colette patterns Ginger skirt. I love the shape of this skirt: it's simple but so flattering, definitely a cut above your usual A-line. I made my first one back in the summer and it was an instant winner - a good fit, ridiculously easy to make and denim. What's not to like about a denim skirt? I've worn it to death, and when it finally falls to pieces, I'll have to make an exact replica. To avoid this sad occurrence, I thought I'd better make a second one, as contingency. I made my second one from an apple print needle cord which I managed to nab when Kitschy Coo was selling off some of her stash. Kitschy Coo makes children's clothes and I think the fabric was originally used for that purpose. Now, the thought of a 42 year old woman dressed in children's clothes does conjure up images of horror, but the muted colours and Orla Kiely-esque print made me think I could just about get away with making it into a skirt. 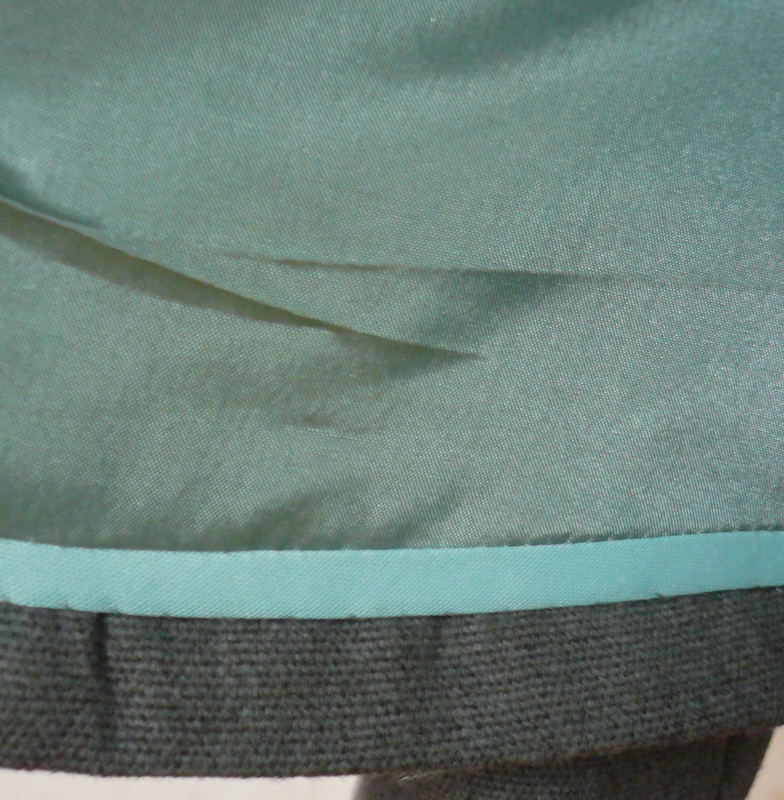 The needle cord is quite thin and I was concerned about it riding up when wearing tights, so a lining was required. I just happened to have some left over from my jacket that was the perfect colour - yay. Lining it was pretty simple, thanks to Scruffy Badger who gave me the idea. 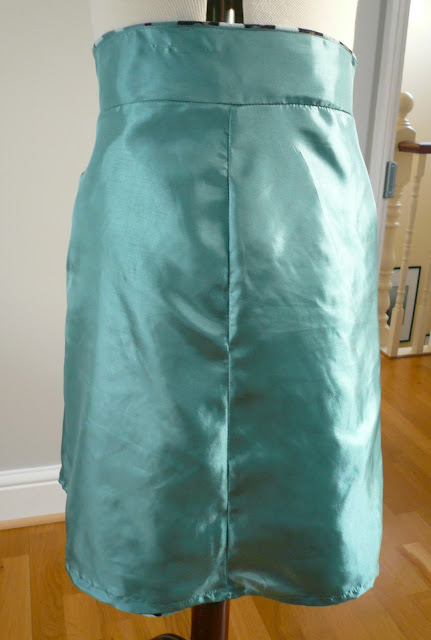 I made an exact copy of the skirt with lining fabric, but didn't sew up the centre back seam. I then followed the directions in the pattern for attaching the inside facing, simply continuing to sew down to the end of the invisible zip on both sides. I then sewed up the centre back seam. Because there was a full lining rather than just a facing, I omitted the step which attached the back facing to the front. I'm glad I made the effort: it's much slinkier to wear with a lining and I managed to stash bust at the same time - hooray. The light is shocking at the moment for photographing garments, but the background of the fabric is actually a dark chocolatey brown. So I can wear it with brown tights and boots. And a big, mad necklace…. ...and if I want to show off the high waistband, I can wear it with my 1930's blouse. And the winner of the beautiful snood, hand knitted by my lovely mum's fair hands is..... Stitch and Witter! 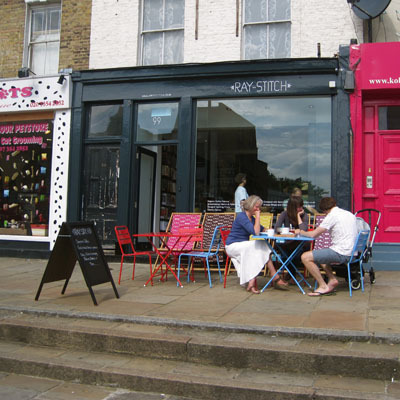 Hooray, hooray, Stitch and Witter has a fab blog: she makes some gorgeous clothes and, like me, is a bit obsessed by polka dots, hooray again! E-mail me your address Joanne and I'll get it in the post to you. Afternoon all. Today I thought I'd share my tutorial for kid's wash bags with you. *I get my waterproof fabric from here and it's always been good quality and good value. I use white as it goes with everything but there are lots of other colours available. 1) Pin together one of the outer fabric pieces and one of the waterproof pieces, wrong sides together. If you're not sure about the waterproof fabric, the right side is shiny and slippery and the wrong side is very slightly tacky. Do the same with the remaining two pieces. 2) I make my wash bags using French seams so they're enclosed. To do this, pin the two double sided pieces wrong sides together so you have the two waterproof layers facing each other and the two pieces of printed fabric on the outside. Make two marks on one long side, one about 5cm from the top and one 1.5 cm from the top. 3) Using a narrow seam allowance (about the width of your presser foot is fine), start at one top corner and sew down that long edge, along the bottom edge and up the other side, stopping at the first mark. Backstitch a few times. Continue from the 1.5cm mark to the top of the fabric, backstitching again. 4) Cut all threads and trim seam allowances right down. Cut corners on a diagonal.Turn the bag inside out and poke the bottom edges with a paintbrush or similar, so they're nice and pointy. Press (the waterproof fabric is fine to press on a low heat setting but if you're worried, use a cloth). 5) Now we're going to do exactly the same on the inside of the bag. 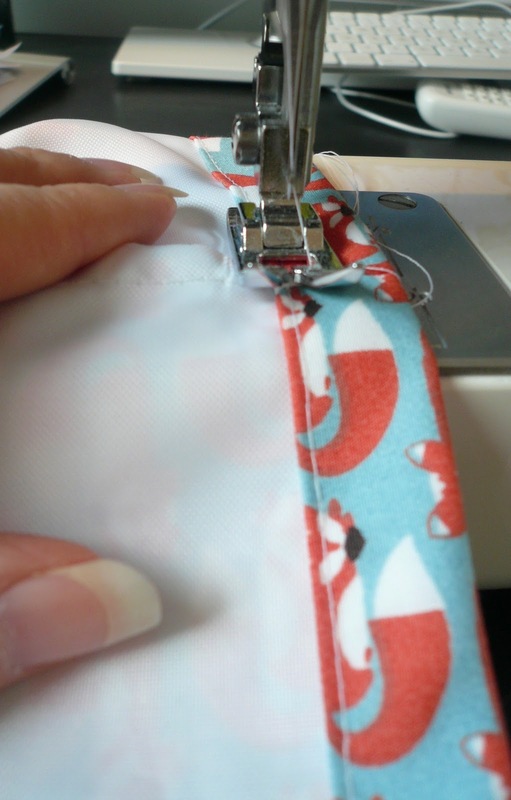 Using a large enough seam allowance to encase the first seam, sew along the folded edges of the fabric, starting and finishing at the same places. That's your French seam! 6) Now the next bit looks a bit unorthodox, but it will really help when you come to thread the cord through. Trim the two top edge seams down to where the line of sewing starts again. 7) Press under 1.5cm of the top raw edge all the way around. 8) Then press under the remaining 3.5cm. You should now have a nifty little hole for your cord. 9) If you want to add your own label, now is a good time so that the stitching doesn't show through on the outside. 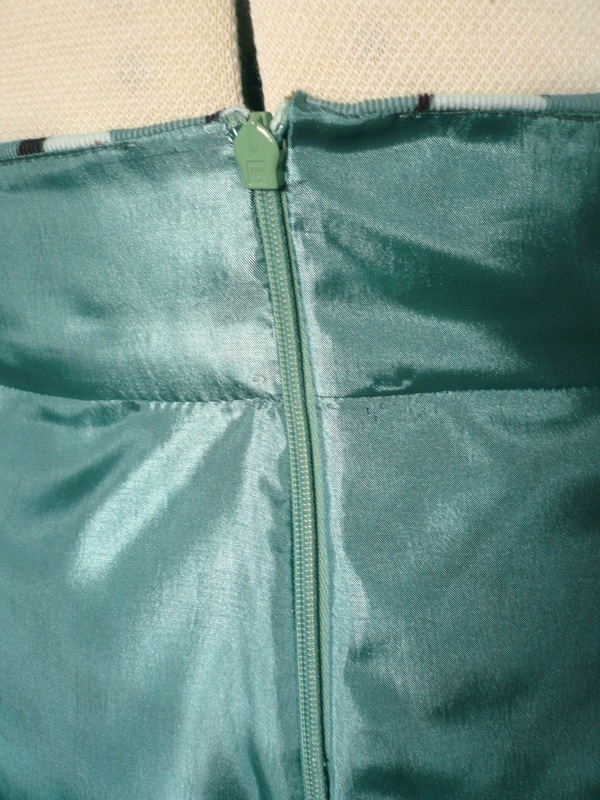 Unfold the top hem and sew on your label about midway across. 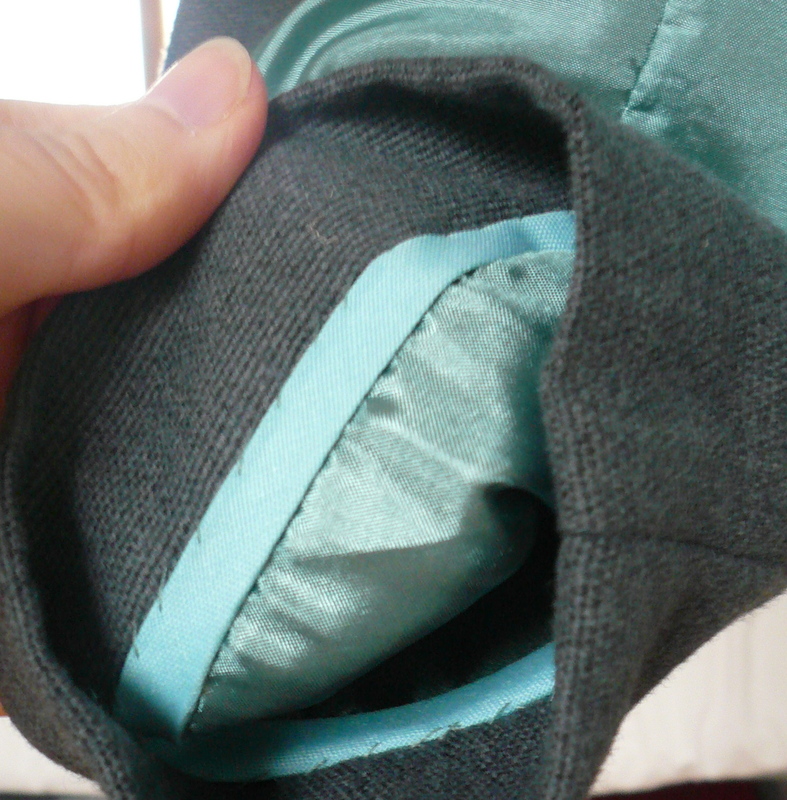 10) Fold under again and sew all the way around the top edge, starting and finishing at the hole you've created. Backstitch a few times by the entry hole for extra strength. Press. 11) Piping cord tends to unravel at the ends so I wrap a small bit of sellotape to each end to stop this. Secure a safety pin to one end of the cord and feed through the hole until it emerges at the other end. Ensure both ends are of equal length then tie a knot near the cord ends. And that's it! You have yourself a very professional looking waterproof wash bag. Obviously play with size if you want it to hold more or want to make one for adults. Or you could substitute the waterproof fabric for cotton to make a handy little drawstring bag (endlessly useful). The size in this tutorial is roomy enough for a child's toothbrush, toothpaste and flannel. If you're making one with a baby in mind then it's also the right size to hold a couple of nappies and a pack of wipes. If you read my earlier snood post, you'll know that I cunningly got my mitts on one by roping my mum in to help (well, knit the whole thing actually). But, as other snood makers have noticed, the finished snood only requires about half the amount of wool specified in the pattern, so there was 100g of very nice wool left with my mum. As her hopeless, non-knitting daughter had no further need of it, my lovely mum Lily quickly whipped up another one and sent it to me "in case one of your friends would like it". Isn't she just the best? 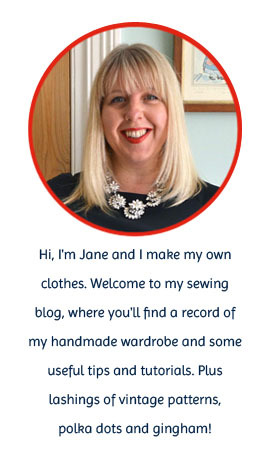 I'm aware that half the sewing/knitting population now has a snood, thanks to Karen, but if you don't yet have one, read on. I'm doing just as my mum suggested and offering a beautiful teal coloured, hand knitted snood to one of my readers. All you have to do to enter is leave a comment on this post. The giveaway is open worldwide until midnight GMT on Friday 18th November. The winner will be chosen at random after this date and notified by e-mail. Here it is, here it is!! My first ever jacket! I'm pretty proud of myself with this make. After two muslins (my maximum number I'll ever have the patience to make, I've now decided) the fit is nice and slim and the length is just right. Having arms about the same length as a T-Rex, being able to get the arm length spot on is very satisfying. The pattern came from the Built By Wendy Coats and Jackets book and whilst the basic shape of the pattern is fine, I did have to make quite a few alterations to get it to fit me. I deliberately used a book, rather than a commercial pattern, as I wanted to try to learn as much as I could about jacket construction before attempting a commercial jacket pattern. I wouldn't necessarily recommend this book to absolute beginners though - even though there's a good amount of detail on making and adjusting your pattern, once you start constructing your jacket, the instructions are pretty sparse. Although there are lots of jacket making skills I still need to learn, there are a fair few I can now tick off my list. I feel like I have at least a basic understanding of jackets, which will give me a bit more confidence when I venture down this path again, perhaps trying my hand at this elegant beauty….? So, on to the jacket itself. The main fabric is a reasonably heavyweight wool I found by some miracle in my local charity shop. The buttons are plain, 1940's utility buttons from eBay and I lined it with a teal/duck egg satin lining. As documented here, I loathe and detest slippery lining fabric, but this one didn't behave too badly (it wouldn't dare, the look I gave it whilst I was cutting it out was terrifying). I improvised with the collar as there wasn't a pattern for the shape I wanted - the result isn't bad, just a bit bulky under the top edge. I made my own facings and after a few false starts, managed to create a successful three way party between jacket, facing and lining. Hoorah. Despite my surliness towards the lining, I loved the feeling of first trying on the jacket and sliding my arms in. It felt so luxurious and professional, I just had to repeat it a few times (make that 20). The bottom edge of the lining fabric was very prone to fraying, so I attached it to the main jacket with bias tape. I did the same thing with the sleeve lining too. When I first saw Did You Make That's gorgeous hand knitted chunky wool snood, I knew it was the missing link in my autumnal neck gear. Taking only an evening or two to whip up, it seemed like the perfect project for a knitter to get their teeth into. Only one problem - I can't knit. It was perfect! I've never worn a snood before but I'm now a convert. It's so cosy and elegant and I love the chunky look of the stitches.